This might be the most exciting finish to an ultra run we’ve ever seen. Click the image below to watch. Gunhild Swanson, age 70, finished the Western States 100 Mile Endurance Run this past weekend with just six seconds to spare before the 30-hour cutoff. Six seconds, after 100 miles of running. Let that sink in. 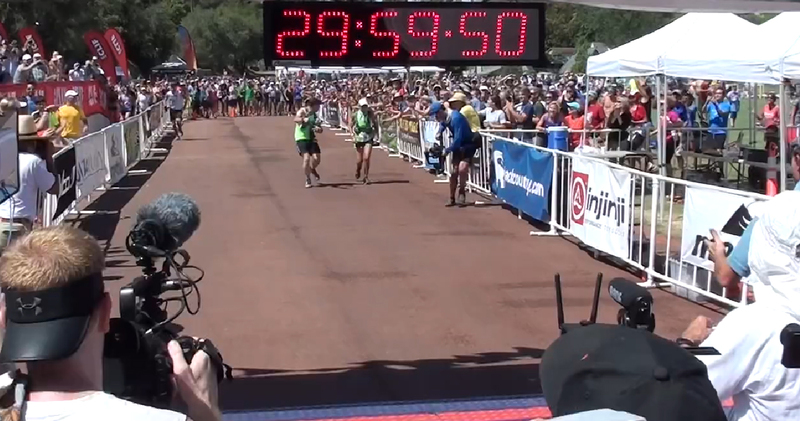 Swanson became the first woman over 70 to finish the grueling race with this tear-jerking ending. Below are a couple more videos of her finishing the race. The feat is absolutely inspiring. Think you’re too old to do something? Just think about Gunhild … Gunhild would go! Congrats to all the runners, and to overall winner Rob Krar, who finished in 14:48.59. Magdalena Boulet won the women’s event in 19:05:21.